how can i get the accessories for this phone? like display etc. whats the speciality of the os..?? like andriod has its apps. AnonD-222384, 08 Jan 2014I'm a second-hand user of this mobile. I could not use internet on my mobile phone. I have che... moreHi Bharat. I too used this phone in india. do one thing.. factry reset it and use a sim with active data plan. after reseting it when you'll restart ur phone it will ask for your palm profile. you can immediately create it on phone just fill the details it asks. then you'll be able to use the app store as well as internet. i have tried relaince GSM, Airtel, Vodafone and was able to use internet download new apps, configure my mails, use msngrs etc. I'm a second-hand user of this mobile. I could not use internet on my mobile phone. I have checked with various networks in India. I use Tata Docomo network. Can anybody help in this regard. mohit tripathi, 13 Dec 2012wonderful phone given by Mr. akash from cdma-solutions new-delhi i appreciate his cc support .... morehows the phone working? can u use mobile data? I am facing know bug of hardware of plam pre plus//.phone automatically goes into headset while your on call. Hence you wont be able to make calls. i got an mobile from u.s.a.The language of the phone has been changed,can you give any solution for me? Yes you can Shashi. With a gsm carrier you can go anywhere in the world with it. can I used the Unlocked Version of this phone in any country like Sr lanka..??? plzz help..
Are we going to get 2.1 update on Pre PLus at &T? 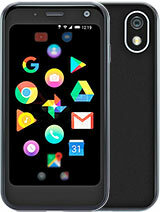 Total of 79 user reviews and opinions for Palm Pre Plus.